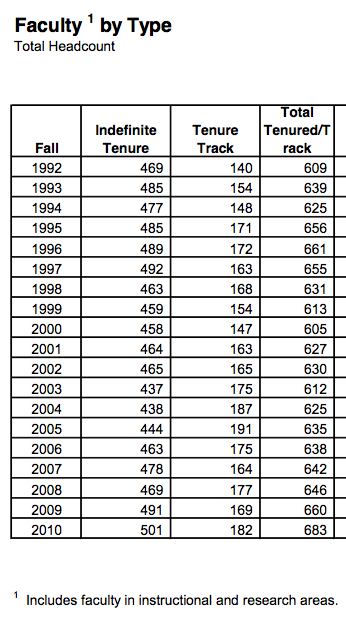 This is 2008 – before all of the increases in central administration that Linda Brady and Frances Dyke made kicked in. 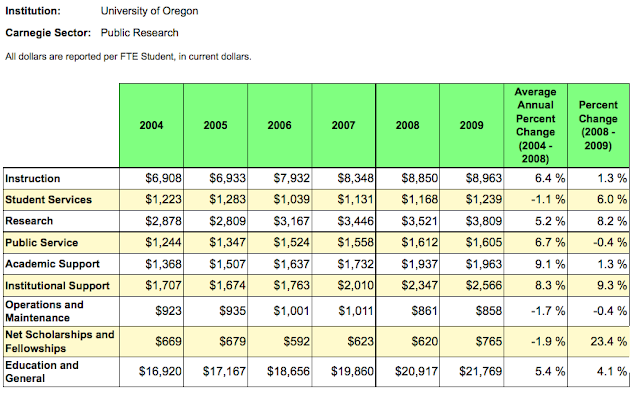 Yet some UO administrators still stick to the claim that UO’s administrative expenses are 38% of our peers? I would like to hope that is just for public consumption, not what is actually guiding their decision-making. Instruction: Activities directly related to instruction, including faculty salaries and benefits, office supplies, administration of academic departments, and the proportion of faculty salaries going to departmental research and public service. Research: Sponsored or organized research, including research centers and project research. These costs are typically budgeted separately from other institutional spending, through special revenues restricted to these purposes. Public service: Activities established to provide noninstructional services to external groups. These costs are also budgeted separately and include conferences, reference bureaus, cooperative extension services and public broadcasting. Student services: Noninstructional, student-related activities such as admissions, registrar services, career counseling, financial aid administration, student organi- zations and intramural athletics. Costs of recruitment, for instance, are typically embedded within student services. 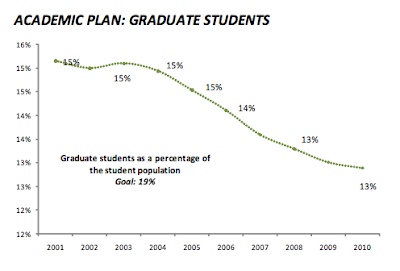 Academic support: Activities that support instruction, research and public service, including libraries, academic computing, museums, central academic administration (dean’s offices), and central personnel for curriculum and course development. Institutional support: General administrative services, executive management, legal and fiscal operations, public relations and central operations for physical operation. 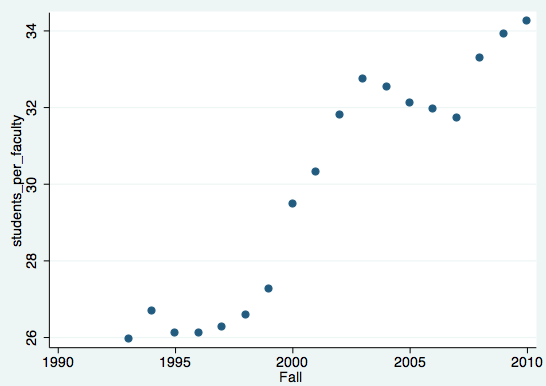 Scholarships and fellowships net of allowances: Institutional spending on scholarships and fellowships net of allowances does not include federal aid, tuition waivers or tuition discounts (which since 1998 have been reported as waivers); it is a residual that captures any remaining aid after it is applied to tuition and auxiliaries. Plant operation and maintenance: Service and maintenance of the physical plant, grounds and buildings maintenance, utilities, property insurance and similar items. 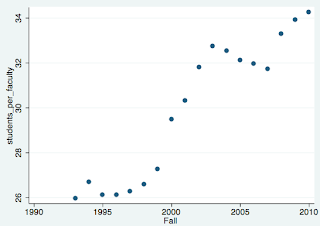 For private institutions only, capital depreciation costs were excluded prior to 1998, so recent trend data are not strictly comparable with data from that period. Auxiliary enterprises and hospitals and clinics: User-fee activities that do not receive general support. Auxiliary enterprises include dormitories, bookstores and meal services. And keep in mind there is a whole layer of OUS administration on top of this. 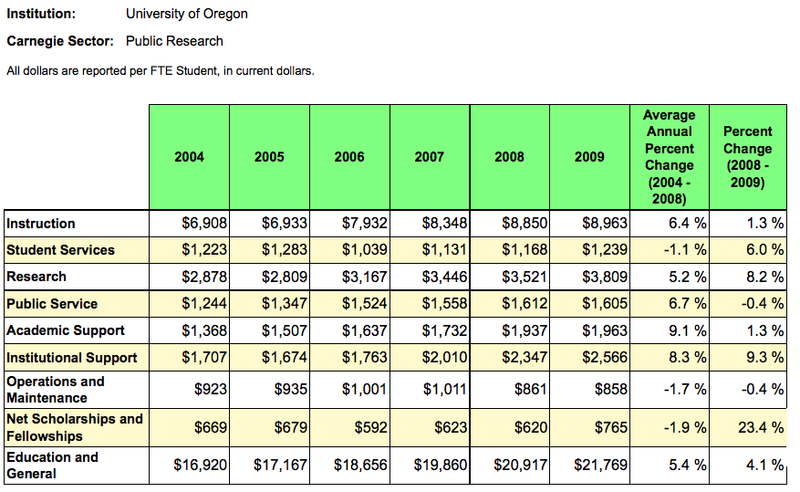 Very roughly, the Chancellor’s office added another $236 or 10% per FTE in administrative expenses to the UO total. 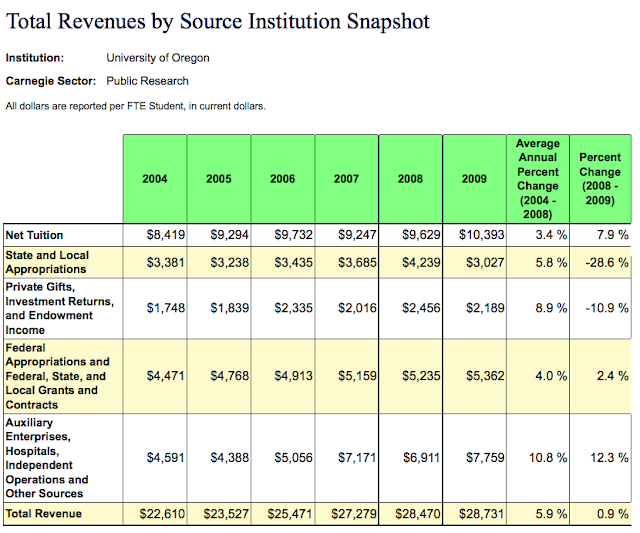 (Dividing their $17 million in 2008 expenditures by 72,000 FTE’s for the whole system.) I don’t know what comparable calculations would add to the Carnegie average – most states have some sort of Chancellor set up, I don’t know how their costs compare. For that matter I don’t really know if OUS spent $17 million, their report is hard to follow, and I’m no accountant.